83 ACRES OF THE MOST EXCEPTIONAL LAND IN THE AREA. NORTH FORK OF THE BAD AXE AND THE SPRINGVILLE BRANCH OF THE BAD AXE RIVERS TRAVERSE THIS UNIQUE PARCEL. TWO CLASS ONE TROUT STREAMS, PRE-HISTORIC ARCHEOLOGICAL CITES LISTED ON THE NATIONAL REGISTRY OF HISTORIC PLACES, EXCELLENT HUNTING PARCEL. 31 ACRES M/L OF RENTED CROP GROUND PAY THE TAXES AND FATTEN UP THE DEER AND TURKEY. BUILDING SITES, OLD LOGGING ROAD TO ONE SITE OVERLOOKING THE VALLEY FLOOR. 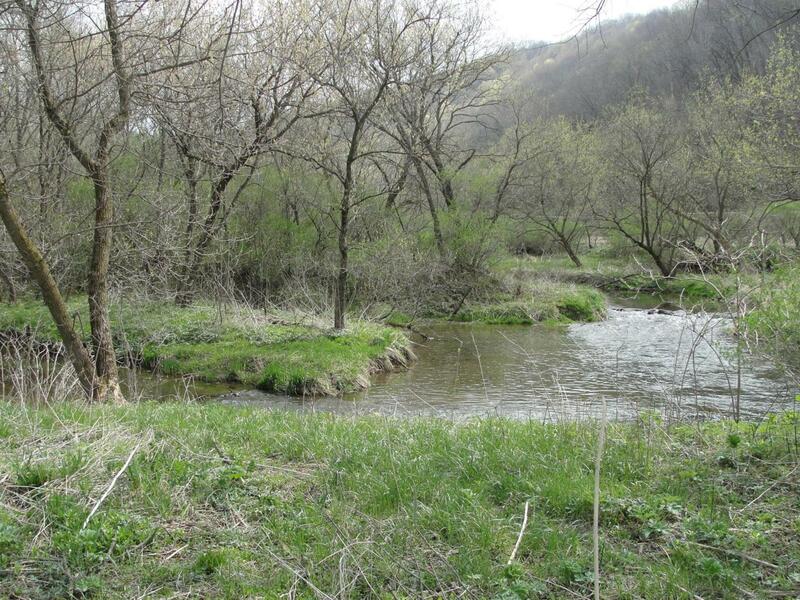 ADJOINS PUBLIC LAND, CLOSE TO MILES OF HORSEBACK RIDING TRAILS, SOME OF THE BEST TROUT FISHING IN THE MIDWEST, LOW TAXES $299/YR(1028), AG GROUND IS TYPICALLY RENTED, 2 WOODED HILLSIDES, PEACE AND QUIET, SELLER IS NEGOTIABLE. Listing provided courtesy of Bill Brooke Realty.